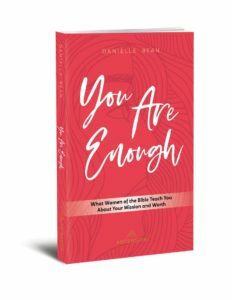 The themes in the You Are Enough Day Retreat for Women are ones that Danielle Bean explores in her newest book, You Are Enough: What Women of the Bible Teach You About Your Mission and Worth. Every one of us is made in the image of God. We are unique, we are worthy of love, and we are called to greatness. 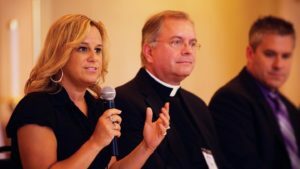 In this world, though, it can be easy to be distracted from that truth and begin to doubt God’s love is real. It’s easy to focus on the ways we fall short of worldly perfection and to forget that we are already made perfect. We are already enough. God has made each of us for a unique purpose, and he calls each of us to know him in unique ways. Together, let us explore the stories of women in the Old Testament and find out what meaning they have for our lives today. See how God’s love for each of us shines forth through the stories of the women of the Old Testament. Connect with the hopes, dreams, struggles, and experiences of these remarkable women. Learn how the lives of women in the Bible contain valuable lessons for our lives today. In a world where everything feels fleeting and temporary, we are made for everlasting life; we are meant to experience God’s abiding love. You Are Enough uses the timeless tales of the Bible to clarify that truth for modern women. 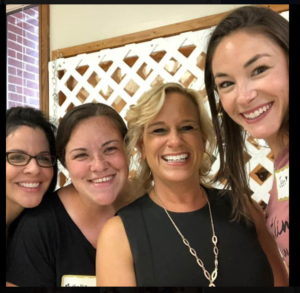 If you would like more information about how to bring the You Are Enough Day Retreat for Women to your community, please use this form. Thank you!